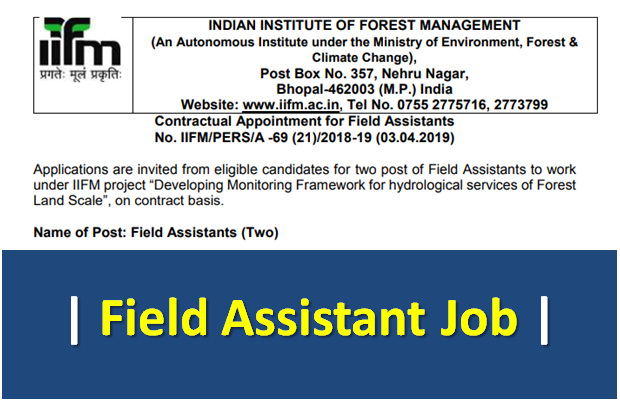 Applications are invited from eligible candidates for two post of Field Assistants to work under IIFM project “Developing Monitoring Framework for hydrological services of Forest Land Scale”, on contract basis. 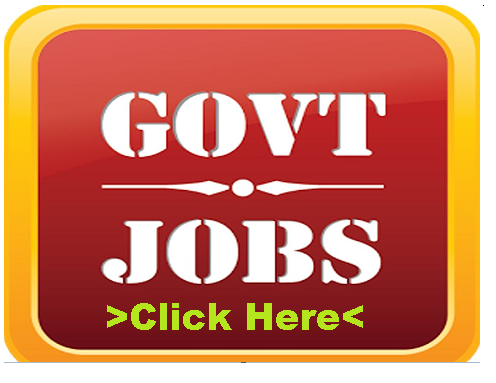 Emoluments: Rs.18,000/- +20% HRA+Rs. 500/- (towards reimbursement of Medical policy premium. 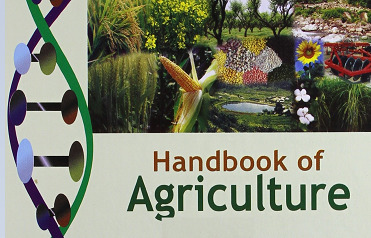 Qualification: The candidate should have Master Degree in Geology/Geography/Meteorology/Environmental Science/ Environmental Management/ Agriculture Science/ Agriculture Engineering/Geo Physics/ Natural Resource Management. 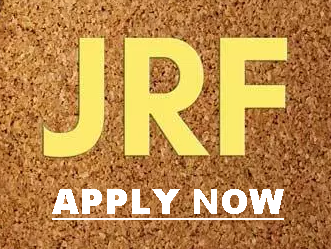 Candidates fulfilling the above requirements may submit their detailed CV, containing a brief write-up on research work experience, by email ONLY to HR Section of IIFM at hr@iifm.ac.in with a copy to prakash@iifm.ac.in on or before 16th April, 2019. Only shortlisted candidates will be called for further interview at IIFM, Bhopal. No TA/DA will be given for attending the interview and candidates should make their own arrangements for travel, lodging and boarding. 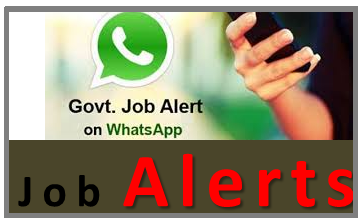 Candidates may please note that this is a project related position purely on contract basis for the duration mentioned above and have nothing to do with permanent establishment of IIFM.